Australian bodyboard makers began slipping into the American bodyboard market starting with Manta in the early 1990s. Following Manta's lead, Hot Buttered from Narrabeen introduced a line of bodyboards in 1993 including the Pipeline Pro. While their early boards had excessive rocker, the construction and templates showed potential. 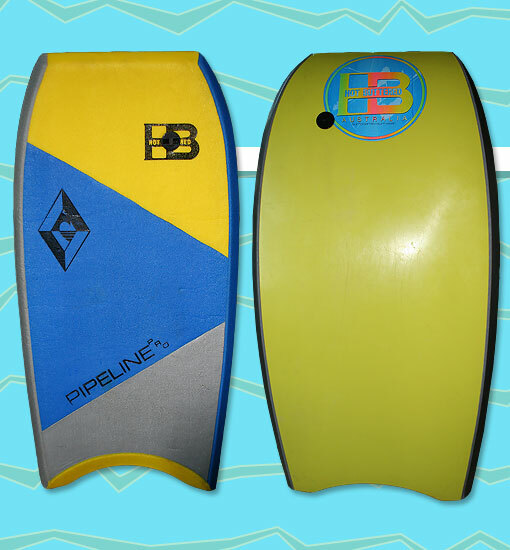 The Pipeline Pro featured a 1.5mm bottom and was "Built to Burn". Photo: Brett Taylor.